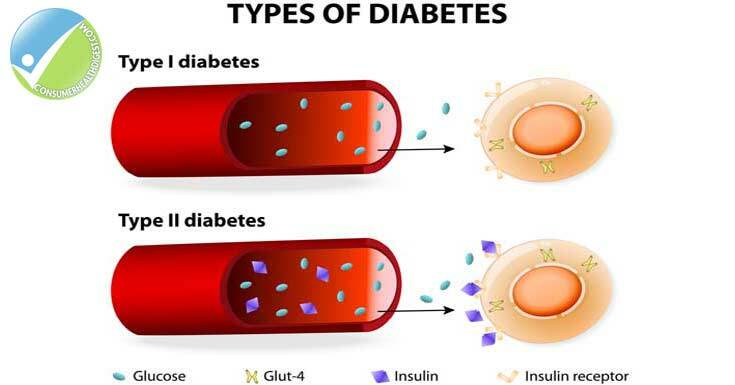 Diabetes which is often referred to by medical professionals as diabetes mellitus describes a group of metabolic diseases where the person has high blood sugar (blood glucose). It is either because of inadequate insulin production or because cells in the body don’t respond correctly to insulin but in other cases the person has both problems. High blood sugar typically causes frequent urination, increased thirst and increased hunger. The condition affects approximately 382 million people worldwide in 2013 according to the Williams textbook of endocrinology. What is the Signs and Symptoms of Diabetes? What is Common Type 1 Diabetes Symptoms? 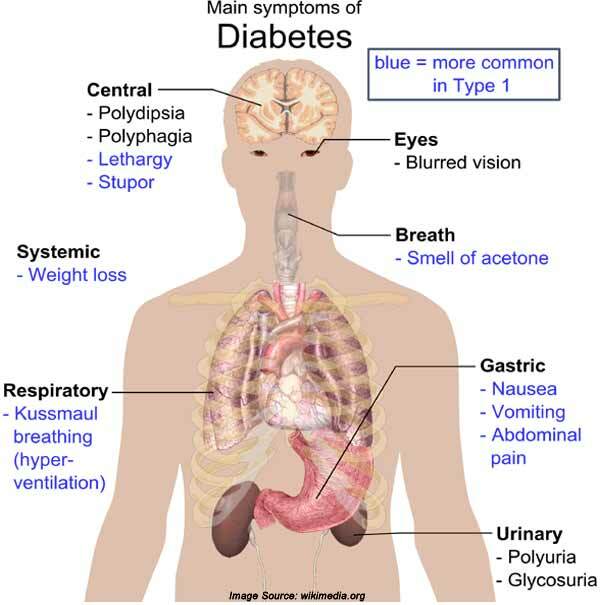 What is Common Type 2 Diabetes Symptoms? 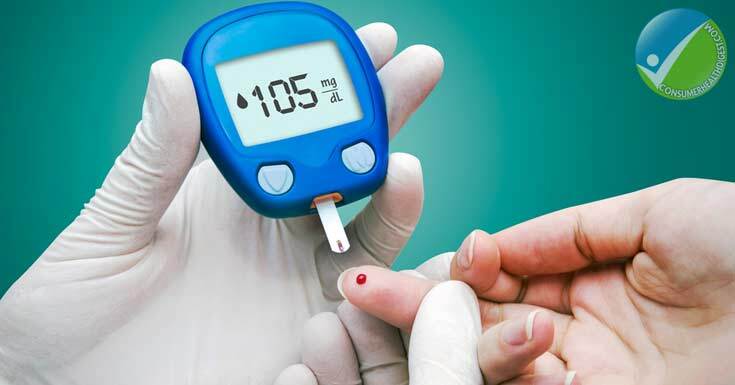 What are the Causes and Risk Factors of Diabetes? The exact cause of type 1 diabetes is unknown. However, what is known is that in the disease, the immune system which normally fights harmful bacteria or viruses attacks cells that produce insulin located in the pancreas. The result is little or no insulin so instead of being transported into cells, sugar builds up in the bloodstream. It is believed to be caused by a combination of genetics and environmental factors. 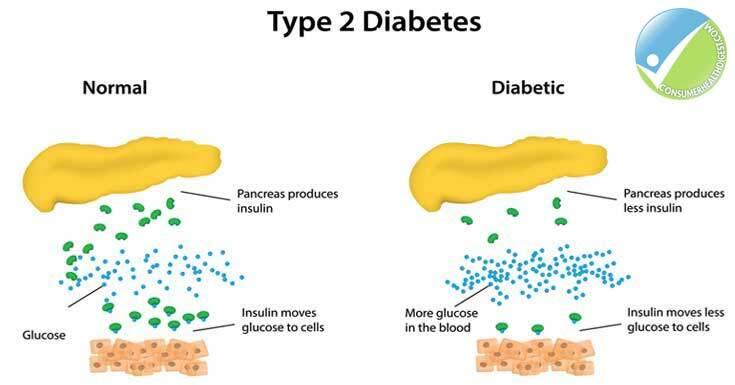 In prediabetes and type 2-diabetes, the cells in the body become resistant to the effect of insulin and the pancreas is not able to produce enough insulin to overcome such resistance. Instead of moving into the cells where sugar is needed for energy, it builds up in the bloodstream. It is still uncertain why this happens although genetic and environmental factors also play a role in its development. There are three main types of diabetes, but there is also a stage before diabetes called prediabetes. Prediabetes is also referred to as impaired glucose tolerance wherein the blood sugar level increases to a level higher than normal but still low enough for it to be considered diabetes. People who are prediabetic have a much higher risk of developing type 2-diabetes if they don’t monitor their condition carefully. The first main type of diabetes is type 1 diabetes which is an autoimmune disorder in which the pancreas produces little or no insulin. People with this condition usually get it before the age of 20. 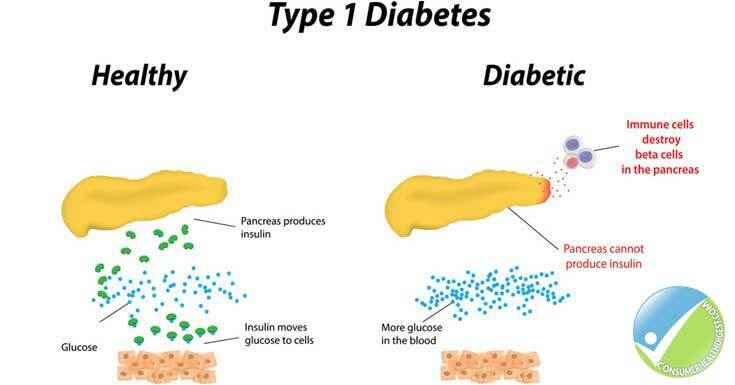 Some scientists believe that type 1 diabetes is a genetic condition that occurs because the immune system attack the cells of the pancreas. There are also others who believe that a virus may cause it. However, the precise cause of type 1 diabetes is still unknown. 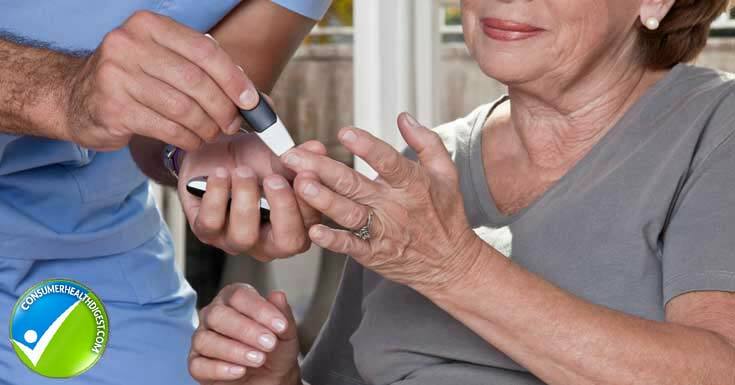 The second type of diabetes is type-2 diabetes which is also called adult onset diabetes. About 90% of diabetes cases are type 2 diabetes. In this type, the pancreas does not produce enough insulin or the body does not use it properly. It is often considered a lifestyle disease because it is usually triggered by a sedentary lifestyle, being overweight and consuming too much calories and sugar. The third main type of diabetes is gestational diabetes which women can get during the third trimester of pregnancy. Approximately 4% of pregnant women will develop this condition. It disappears after the baby is born but having gestational diabetes is a risk factor for type-2 diabetes. Glycated haemoglobin (A1C) test – this test indicates the average blood sugar level of the person for the past 2 to 3 months. It measures the percentage of blood sugar that is attached to haemoglobin. Random Blood Sugar Test – A blood sample is taken at a random time. A random blood sugar level of 200 milligrams per deciliter (mg/dL) or higher suggests that the person has diabetes. Fasting Blood Sugar Test – A blood sample is taken after an overnight fast. Fasting blood sugar level less than 100 mg/dL is normal while 100 to 125 mg/dL is considered prediabetes. If it is 126 mg/dL or higher on two separate tests, diabetes is diagnosed. Oral Glucose Tolerance Test – This also involves an overnight fast then blood sugar level is measured. A sugary drink is consumed then blood sugar levels are tested periodically for the succeeding two hours. Treating type-1 diabetes requires a strict regimen that includes a carefully calculated diet, planned physical activity, multiple injections of insulin daily and home blood glucose testing several times a day. 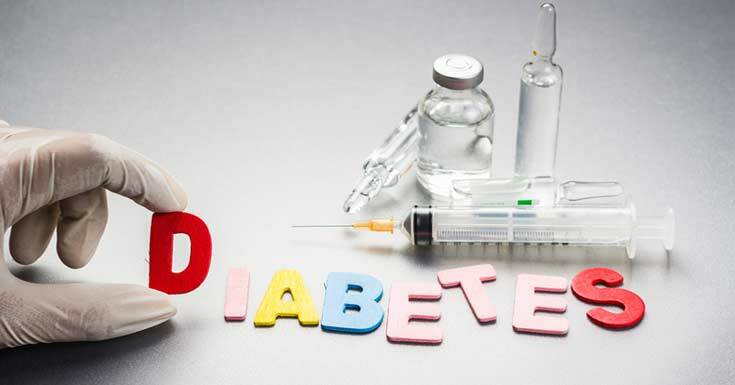 For type-2 diabetes, treatment typically includes a strict diet, exercise program, home blood glucose testing and in some cases oral medication and insulin injections. Only about 40% of people with type-2 diabetes need insulin injections. People with diabetes of any kind need to control sugar intake carefully. They have to follow a specific diet and exercise program to manage the condition and prevent complications. It is crucial to monitor the blood sugar level and follow a treatment plan from your doctor. You should also have regular diabetes checkups (about 2 to 3 a year). Also, it is crucial to avoid smoking which increases the risk of several diabetes complications as kidney disease and nerve damage.